Comment The best ever space simulation! 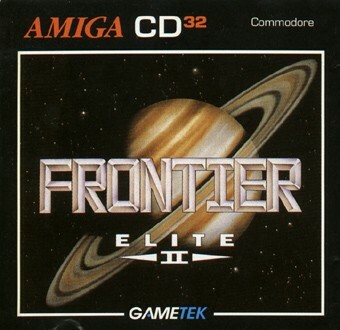 Frontier is the second game in this still popular realtime space-sim series. This game is endless large and you can use years to complete it. It contains over 100.000.000 planets and solar systems with names! You Start the game with a small, but fast spaceship with almost no cargo space. It's best to start with som military packages to get money. Then i would recommend selling the missiles to get more cargo space so you can ship more stuff. You is freely so you can choose your own career as bounty hunter, (il)legal goods trading, mining etc... A spacestation contains several screens and they are BBS for job announcements, Military shop, goods shop etc.. The music is mostly by famous classic composers and contains some large hits and there is some original songs too. There is good games on consoles like Game Cube and Dreamcast, but this beats every game ever released almost after 10 years. So much to do and so much fun even after years of playing! The only game which can beat this on is the upcoming Elite 4.